Enhance the performance of your Ford Mustang GT S550 with an AWE Tuning Cat-Back Exhaust. 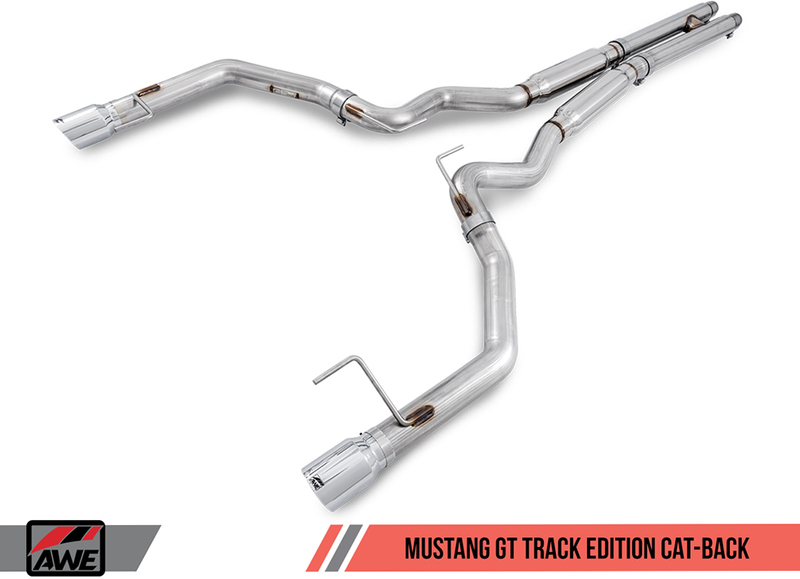 Make your Mustang GT get noticed with a cat-back exhaust system that will be sure to make some heads turn. 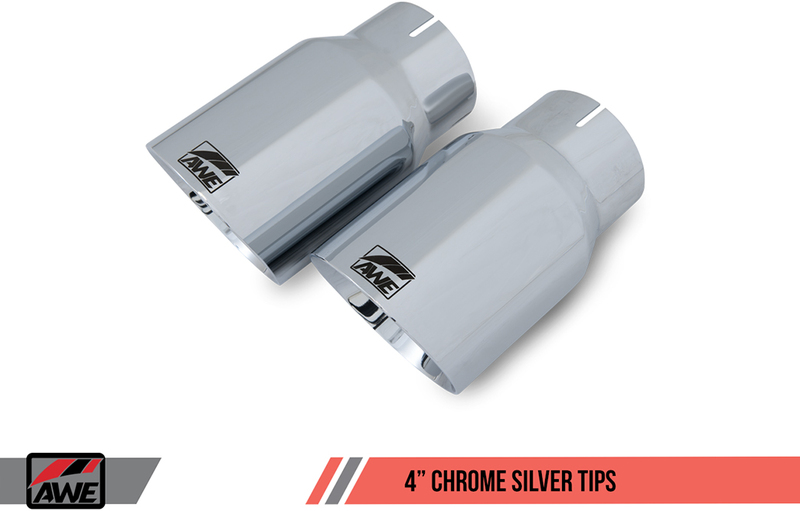 Stay ahead of the competition with the performance gains that you will acquire from this exhaust system. 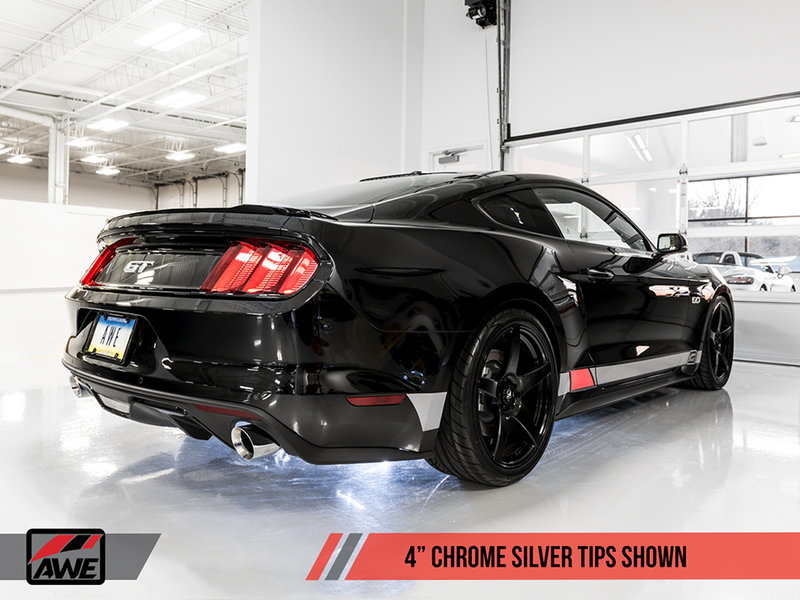 The stainless steel construction will ensure maximum performance and longevity. 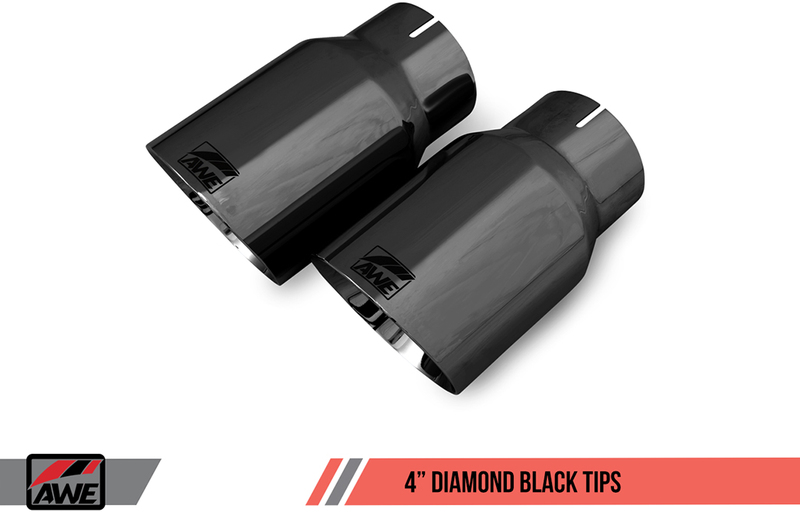 Track Edition: If raw and rowdy are your speed, the Track Edition is your dose of steel. 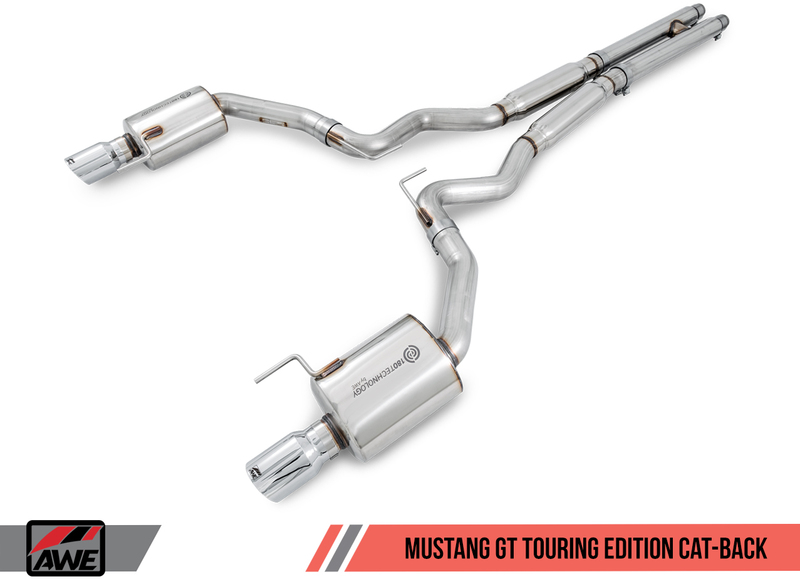 The loudest of the lot, the Track Edition Exhaust retains all the engineering and precision of the Touring Edition, including the H-pipe and 3” diameter tubing, minus the 180 Technology®. The result? Completely raw wake-the-dead level muscle. 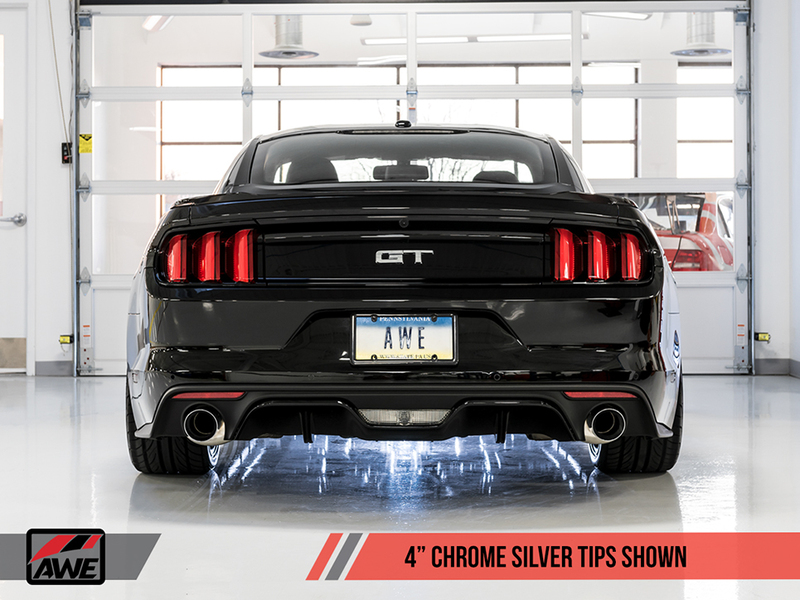 Touring Edition: A direct bolt-on, straight through design, the Touring Edition Exhaust is a full 3” diameter exhaust featuring two bullet style resonators and an H-pipe that brings out a smooth muscle tone with no drone throughout the entire range… all of the time, thanks to AWE’s 180 Technology. 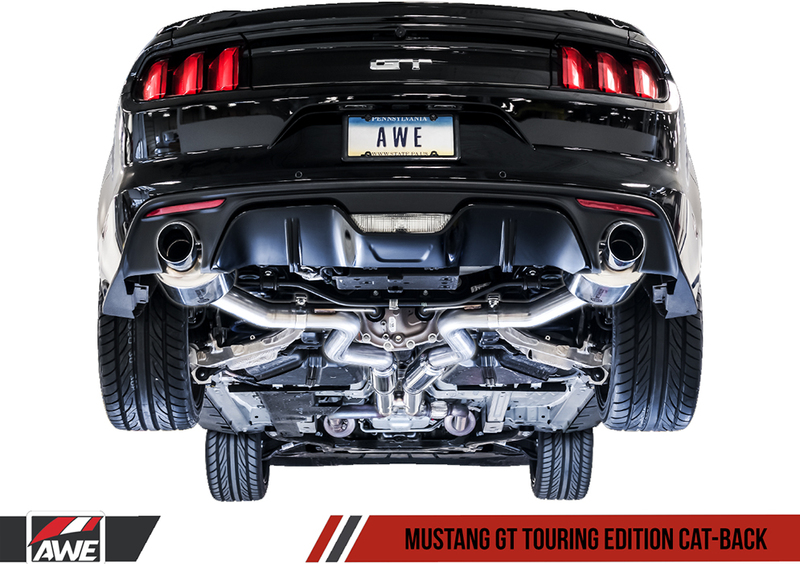 As exhaust gases exit the Mustang GT’s 5.0L engine and flow into an AWE 180 Technology® equipped resonator, they pass through strategically located ports, and into reflection chambers. Sound waves, carried by these exhaust gasses, bounce off the walls of the reflection chambers. By controlling the size and location of the ports and the chambers, we also control when the sound waves exit the chambers. The specific timing of when the reflected sound waves rejoin the main exhaust flow creates a one-hundred-and-eighty-degree out-of-phase sound wave that cancels out problematic frequencies. 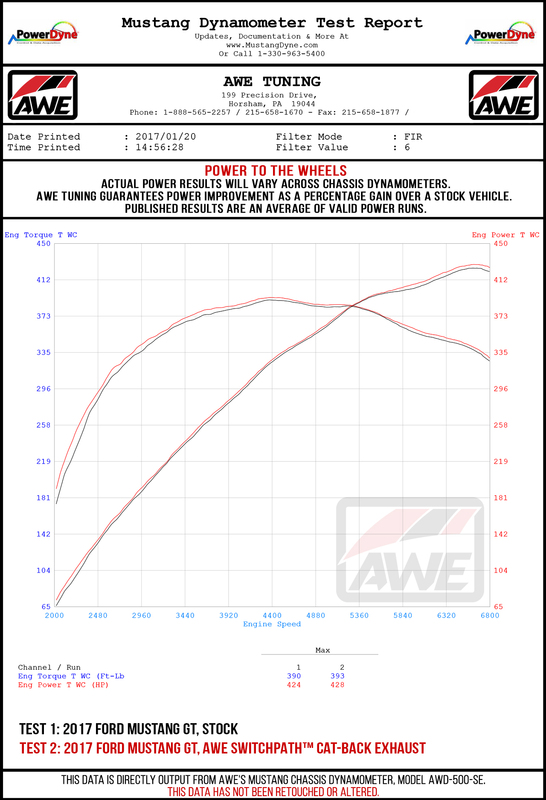 More on 180 Technology® by AWE in the tab above.